Halloween is coming up quickly. Before you know it it will be the end of the month and Halloween will be here. 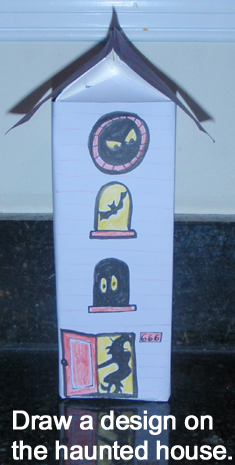 Today we are going to make a Halloween craft. 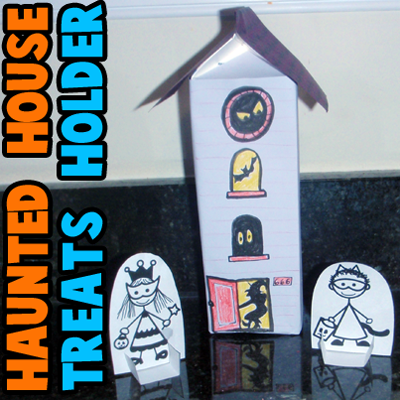 In this post I’m going to show you how to make a Haunted House Treat Holder for Halloween. 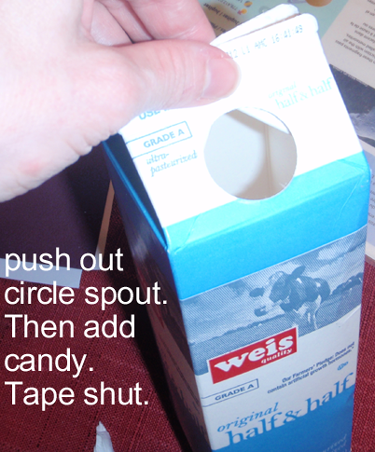 Load it with candy and use it as a Halloween party favor. 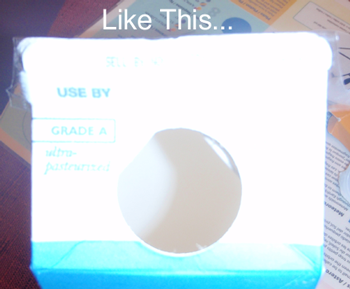 Or, if you would prefer…. use it as a Halloween decoration for inside the house. The kids will love putting on display something they made themselves. So, let’s get started. 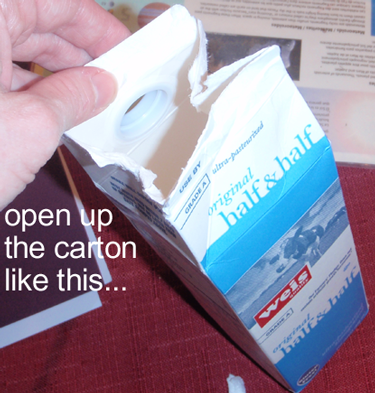 If your milk carton has a circle spout, we will take that out. 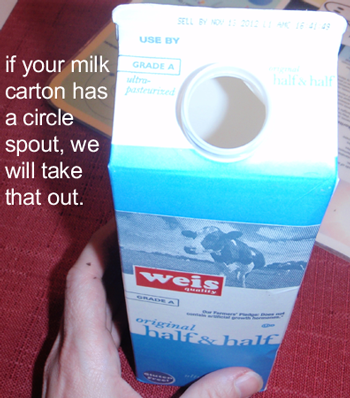 Push out circle spout. Then add candy. Tape shut. 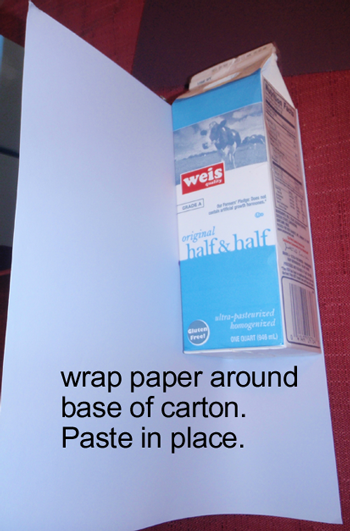 Wrap paper around base of carton. Paste in place. 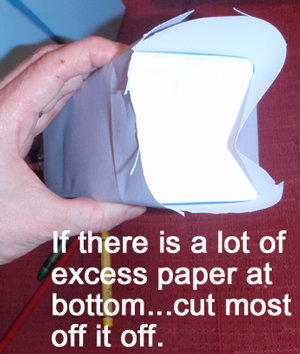 If there is a lot of excess paper at bottom… cut most of it off. Push two opposite sides inwards and glue in place. 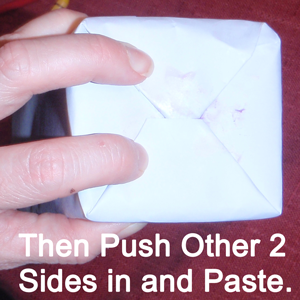 Then push other 2 sides in and paste. 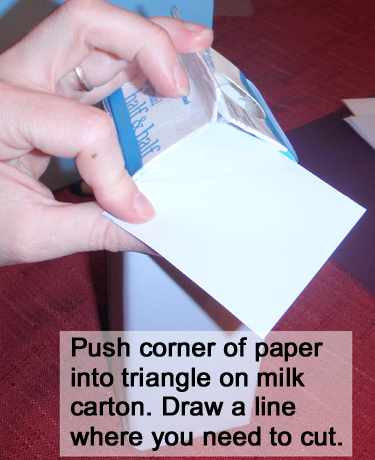 Push corner of paper into triangle on milk carton. Draw a line where you need to cut. 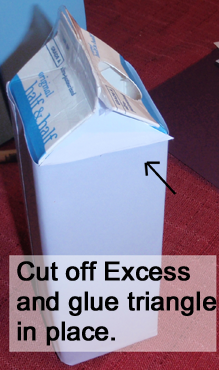 Cut off excess and glue triangle in place. 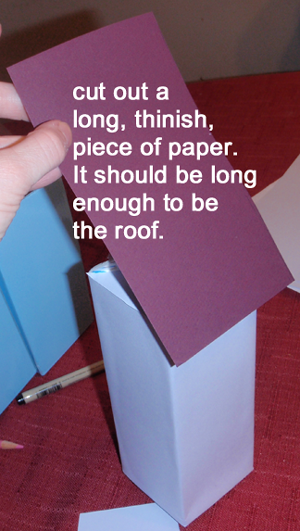 Cut out a long, thinnish piece of paper. It should be long enough to be the roof. 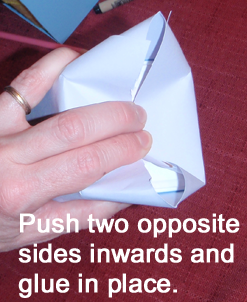 Fold in half…. 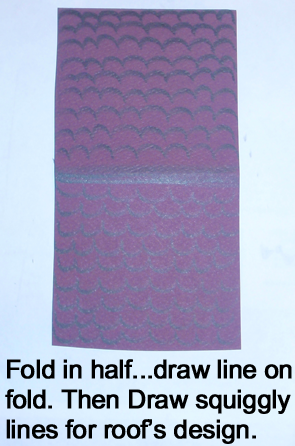 draw line on fold. Then draw squiggly lines for roof’s design. 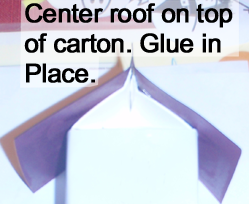 Center roof on top of carton. Glue in place. 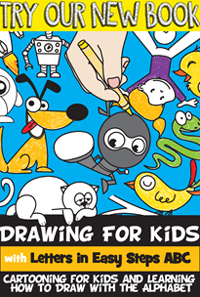 Draw a design on the haunted house. And there you have you…. you just finished your Haunted House Treat Holder for Halloween. If you want to use your Haunted House as a toy…. no problem. 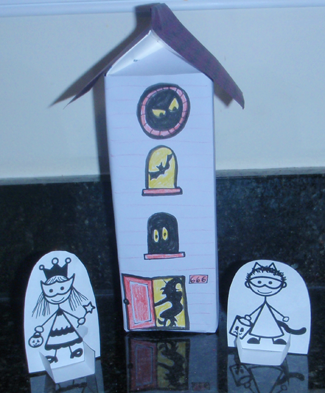 You can even go to How to Make a Trick-or-Treat Paper Toy craft and print off the Trick-or-Treat figures you see in the above picture.